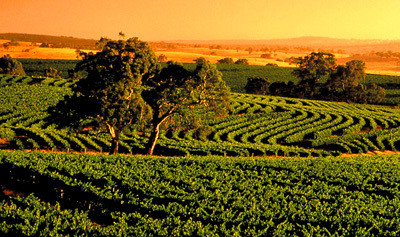 If lakeside living and water sports are your style, you’ll love South Australia’s Riverland. 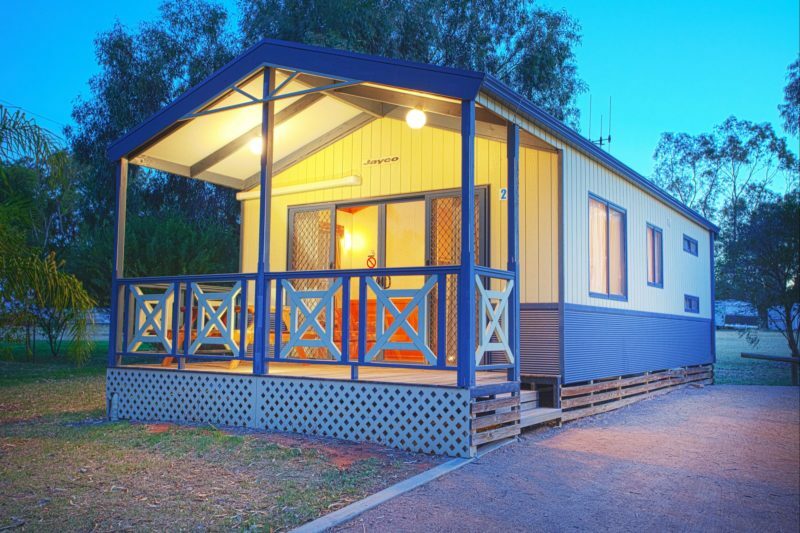 Perfectly positioned next to Barmera’s magnificent Lake Bonney, Discovery Parks – Lake Bonney will tick every box. 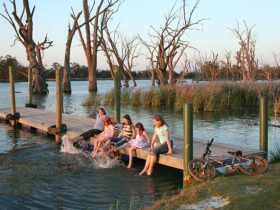 Experience the huge range of family-friendly water sports in the freshwater lake at the front door of your caravan park – swimming, sailing, windsurfing, canoeing, kayaking, skiing, jet skiing, boating and fishing. To top it off, our brand new glow-in-the-dark waterpark is now open. Get ready for fun with the whole family! With over 17 national parks in the region, walking and hiking trails are abundant. 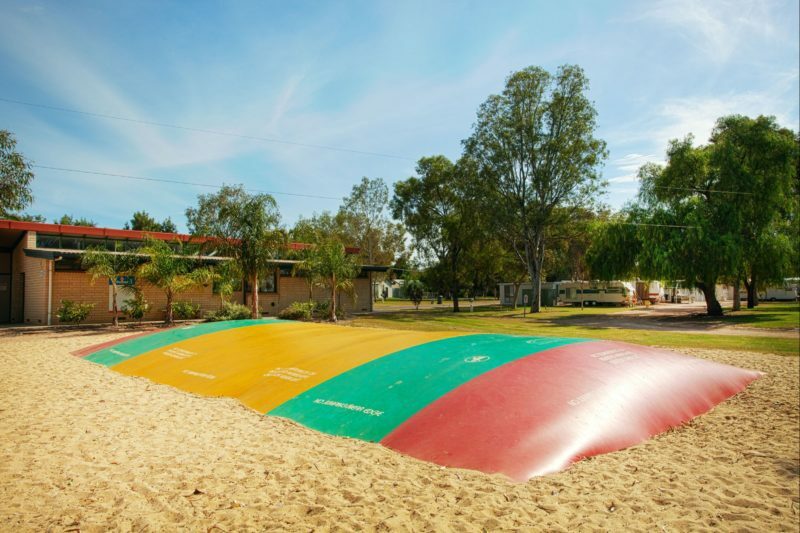 Head to Monash Adventure Park or delight in one of Barmera’s local festivals. For outstanding and memorable wine, food and nature experiences, tour the Banrock Wine and Wetlands Centre. 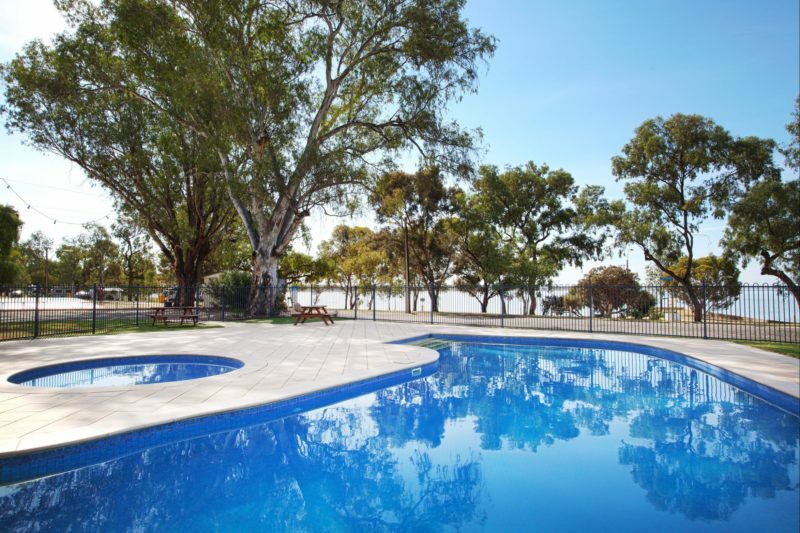 Set amongst the gum trees over looking the beautiful Lake Bonney, this is your place to relax and unwind. These stunning new cabins offer two bedrooms, modern kitchen and ensuite bathroom. There is a queen bed in main bedroom and double bunks in second bedroom. Linen is provided. Villas have air-conditioning (reverse-cycle heating and cooling). The kitchen has gas stove top, oven, microwave, fridge, kettle and toaster, cookware, cooking utensils and cutlery. Bathroom has a separate toilet. The dining and living area has a sofa and LCD television/DVD player while the balcony/large deck has an outdoor setting. Relax in comfort in one of our refurbished four-star cottages complete with outdoor paved area. Surrounded by palm trees overlooking the common area and kids playground and a short distance to the lake, these cottages are perfect for a family getaway. The cottage has air-conditioning (reverse-cycle heating and cooling) and gas/electric heating. 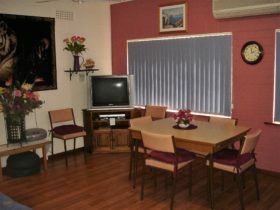 Dining and living area has a sofa, LCD television and inbuilt DVD Player. There is an outdoor paved area with seating and park views. Secluded, charming and peaceful. 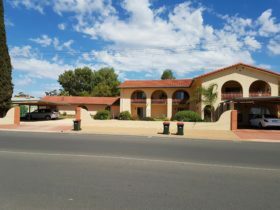 Spoil yourself and your family with all the comforts of home, while surrounded by beautiful native bushland and animals in this three and a half star accommodation. The cabin has air-conditioning (reverse-cycle heating and cooling) and gas/electric heating. The kitchen has a gas stove, microwave, full size fridge, kettle, toaster, cookware, cooking utensils, and cutlery. Bathroom has a walk-in shower and toilet. The dining and living area has a sofa, LCD television and DVD player. The balcony with outdoor setting and park views. Relax in our comfortable three-star Standard Holiday Units. With full kitchen facilities, internal bathroom and linen supplied, it’s the perfect way to unwind after a day exploring the Riverland. There’s a queen bed in main bedroom and two single beds in second bedroom. Linen is provided. The unit has air-conditioning (reverse-cycle heating and cooling). Dining and living area with sofa, LCD television and DVD player. The balcony has an outdoor setting. With an aquatic playground at your doorstep, you’ll want a comfy place to lay your head at night. Enjoy a cosy and peaceful holiday in the privacy and comfort of one of our two bedroom Cottages. Sleeps 4. Economy Park Cabins are a great value, basic cabin – the ideal place to rest after a full-on day of water skiing, hiking or fishing. Sleeps four. Bring your own linen along. The open plan cabin has a double bed and two single beds. The cabins have air-conditioning, a kitchenette with microwave, full size fridge, kettle, toaster, basic cookware and cutlery. Open plan living space has a sofa and LCD television. The bathroom has a walk-in shower and toilet. Cosy and compact, our economy external ensuite units have all the basics you need for a holiday by the water. Sleeps six. The air-conditioned, open plan cabin has double bed and double bunks. Linen is available for hire. Open living space with dining table and LCD television. The kitchenette has an electric stove, microwave, full size fridge, kettle, toaster, cookware, cooking utensils and cutlery. External bathroom is adjacent the cabin. 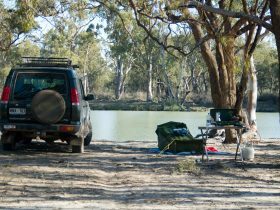 Get the best of both worlds – camping in the great outdoors, with the convenience of a private ensuite for your family. Please note these sites are not suitable for tents. You’re used to the luxury and convenience of your own caravan, campervan or tent and we’re here to ensure that continues with electricity and park facilities close by. Plenty of sites to choose from. Working in the Riverland? Looking for seasonal accommodation? Our Workers Accommodation is available. Each cabin sleeps up to six people and is equipped with a full sized fridge, microwave, bench top oven and two-burner stovetop plus access to an external bathroom with shower and toilet.